Yami Kitchen | What happens in the kitchen, stays in the kitchen. This is a late post. 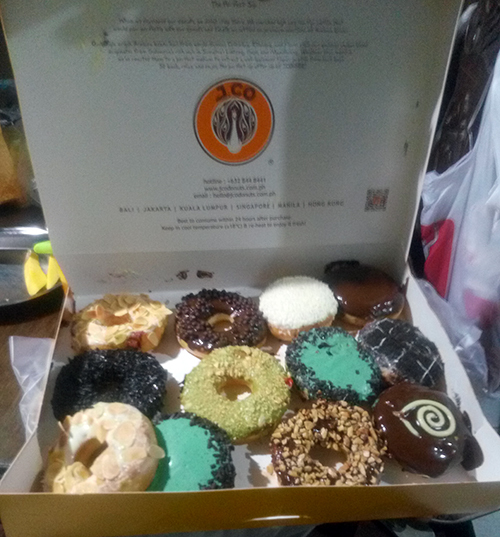 My daughter purchased a box of JCO donuts last month in time for the popular donut brand sale. She and her friend share the cost and took home a dozen of donut for only P250. 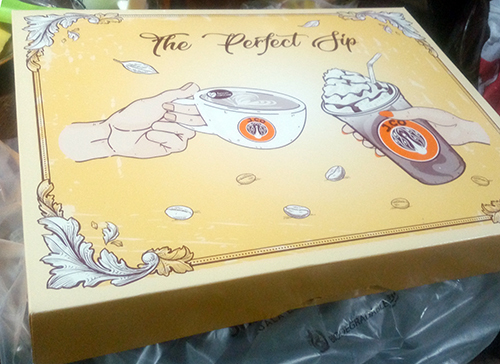 This entry was posted in Cakes and pastry, Dessert, Gift Ideas, Promo, Snacks and tagged JCO donut on sale, JCO donuts, pastry on April 9, 2019 by Yami. 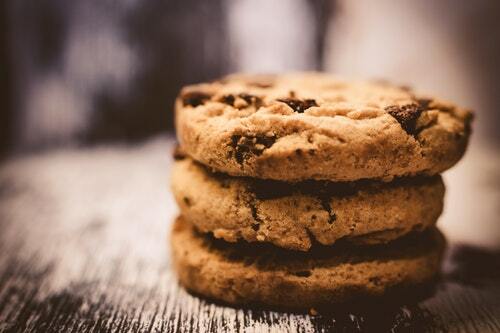 As far as treats and desserts go, you can never count out the popularity of a great cookie. An array of cookies already exists, and creative bakers find new ways to tweak existing recipes to create something more delicious and scrumptious. Just as wonderful are gourmet cookies atlanta, and if you live within a certain distance from a gourmet cookie shop, they can be delivered to your home or office, fresh. Here are three gourmet cookies to consider trying. According to famous culinary expert Paula Deen, almond tea cakes have existed since Southerners have been around. These tea cake treats are great for pairing with tea or coffee after a wonderful lunch or during a mid-day break. The basic ingredients include all purpose flour, baking power and butter as well as eggs and sugar. Then, each baker can include some additional add-ons like almond extract and lemon zest. Almond tea cakes are hearty enough that two will suffice. If you have a sweet tooth, you may desire more, of course. You have your basic peanut butter cookie, and then, you have your gourmet peanut butter cookie. Gourmet peanut butter cookies include additional flavors like chocolate, fudge and chocolate chips. The inclusion of these flavors that complement peanut butter is a wonderful way to receive a satisfying taste of sweetness, and more, without needing to eat more than one cookie. If one cookie can deliver that much satisfaction to your dessert craving, it means you do not need to feel guilty, afterwards. Some bakeries do not sell enough gluten-free gourmet cookies to bake several types on a daily basis. They do, however, have enough customers that would like at least one gluten-free option each day. The daily variety of a gourmet gluten-free cookie of the day gives you the opportunity to try something new and not get bored. The simplicity of cookies, even gourmet cookies, is great for your budget and taste buds. Gourmet cookies atlanta includes almond tea cakes, peanut butter as well as gluten-free. This entry was posted in Baking, Breakfast, Cakes and pastry, Gift Ideas, Healthy Snacks, Snacks and tagged cookies, gourmet cookies, pastry, snack food on March 6, 2019 by Yami. Are you traveling to Phuket on a business trip or vacation? The one thing you will certainly want to do is try the local cuisine. There is no other food in the world quite as aromatic as Thai cuisine, and if you love spicy, aromatic dishes, you will be in paradise. One of the most alluring aspects of Phuket is that it is an island off the mainland located in the Andaman Sea. The total population as of 2015 was 386,305 residents, with many more people being on the island seasonally as it is a popular resort. With all that in mind, let’s take a look at how to enjoy the best Thai cuisine in Phuket. One of the things which many people notice is that Thai cuisine is worlds apart from other Asian dishes. Thai cuisine is perhaps the most aromatic food in the entire world, and it can also be the spiciest. If you have never sampled native Thai cooking, take time to read up on what you will be enjoying before embarking on your trip. You will notice that Thai sauces are lighter than most other Asian sauces and not nearly as salty as Chinese or Japanese sauces, for example. You will find that peanuts and coconuts are common ingredients in many dishes and few dishes are made without lemongrass and galangal. Many people mistakenly pick up galangal in a Thai marketplace thinking it is ginger and although it’s in the same family of rhizomes, it has an entirely different flavor. The point is, take time to learn about the most popular dishes before sampling them. They are truly delightful, but many may be a bit spicy for your taste. Most visitors to Phuket enjoy staying on the beach in full-service hotels. They are pampered guests but many also like to wander the streets of Patong, the world class resort town frequented by travelers from all over the globe. Typically guests like to sample street foods by day because they are already out and about, walking the beaches and strolling along the shops lining the streets. If you are staying in the resort area of Phuket, there is no reason to leave your hotel if you are looking for a 5-star restaurant in Patong. Hotel Indigo, for example, boasts several restaurants on site from tiki bars to their well-kept ‘No Name Bar’. The atmosphere of this particular bar is that of speakeasys of the past and another claim to fame is that the No Name Bar has Patong’s one and only cigar room. If you enjoy a smoke after your meal, talk to your hostess who will have a selection of fine cigars you can choose from. 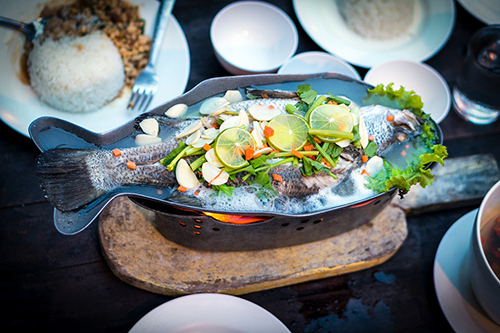 In short, there isn’t another ethnic cuisine quite as surprisingly fragrant as Thai food, and as for seafood, you will find that Phuket is famed for that as well. It may be a small island, but it has huge culinary appeal. See for yourself on your next visit to the resort town of Patong. This entry was posted in Food and places, Hotel, Restaurant and tagged Asian dishes, culinary excursion, ethnic cuisine, Thai cuisine on February 12, 2019 by Yami. We at Paper Written work hard to make sure you enjoy your paper. US Essay Writers is the best writing assistance company for students.